These blades are designed for cutting plastic laminate, Plexiglas®, and solid surface materials such as Dupont Corian®, Wilsonart®, Gibraltar® and Fountainhead®. The DITEC carbide tips are ground in a triple chip geometry unique to this blade, and leave a swirl-free cut in solid surface materials. The thick, stable plate reduces vibration that degrades the cut and shortens tool life. The blade is suitable for a variety of saw configurations. 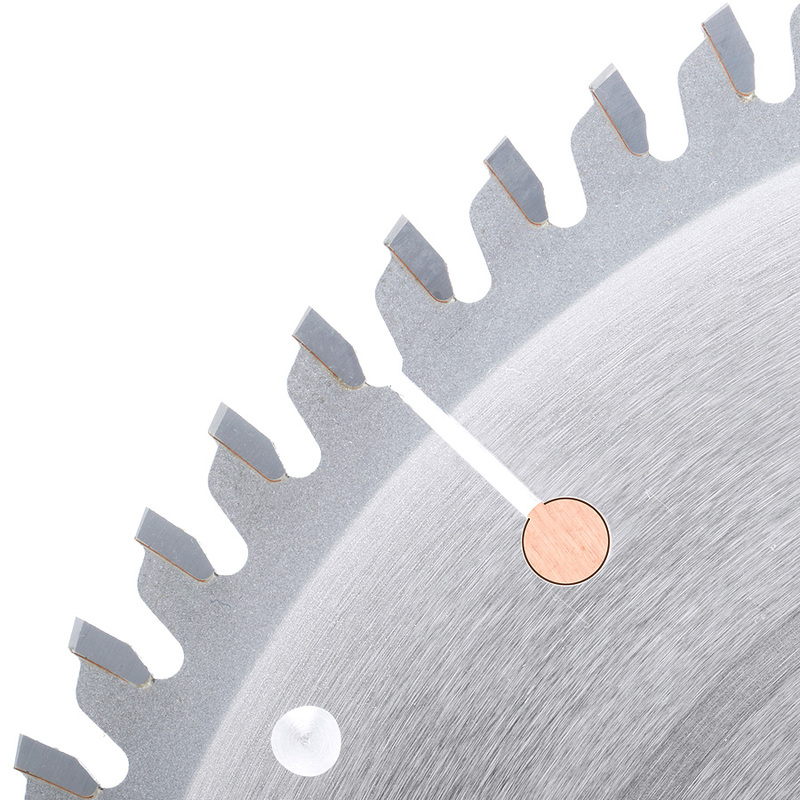 Its 0° hook angle virtually eliminates self-feeding when used with a radial arm saw. For maintenance grinding, use fine grit (D400 to D600) diamond wheels. To match the factory grind, use a slower than normal feed rate. Damaged teeth can be replaced by any grade of carbide tooth. 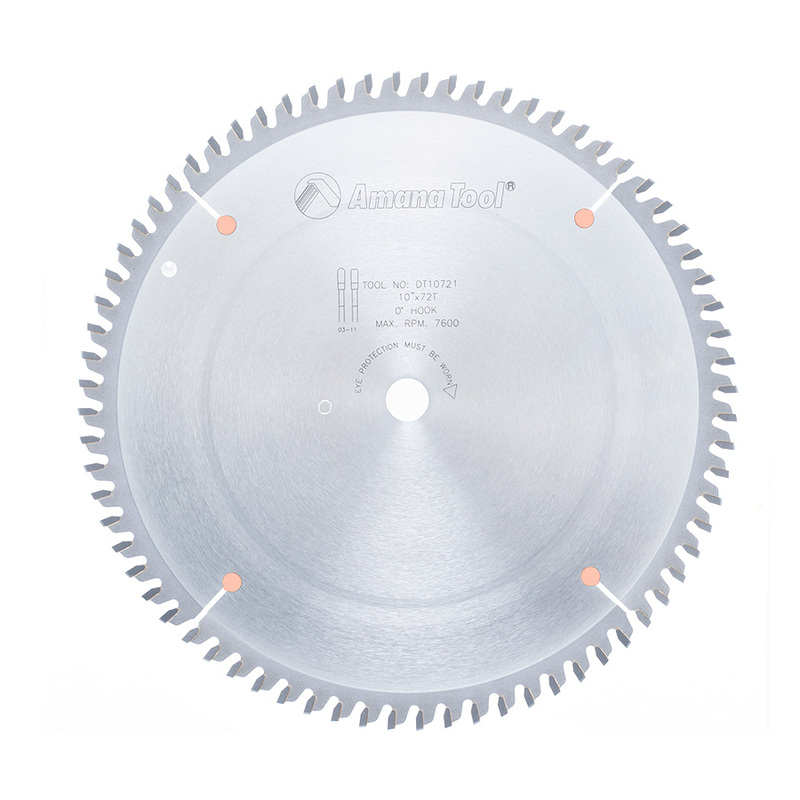 Replacing of a large number of teeth will, of course, shorten the life of the saw blade. Since the carbide in the DITEC™ is harder than other carbides, it is critical that you protect them from “thermal shock” if an adjacent tooth is replaced. Heat absorbed during the brazing process will seriously degrade the DITEC™ carbide.